Some of Library Garden got “Tamed and Shifted,” as Janie captioned this photo, along with many others, at the workshop held at The Princeton Public Library, on Tuesday, July 19th, 2006. 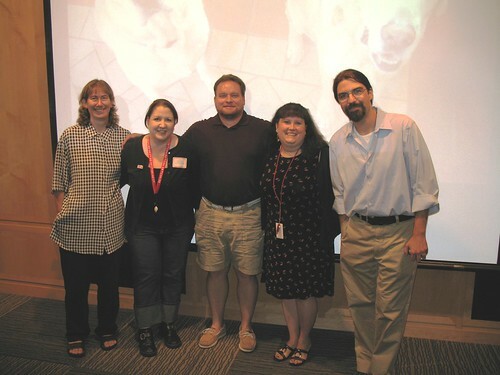 Jenny, Amy, Robert, Janie and Michael at the end of the day at Princeton Public Library. Shifted, Tamed and PUMPED! Moved to Action…..